The below mentioned Important Dates/ Schedules for UIIT HPU CET 2019 are tentative, once the official website release the dates will be updated here. When is the exam date of UIIT HPU? The exam date of the UIIT HPU is on 3rd June 2018. 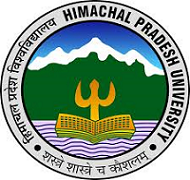 To know more details about the dates of the UIIT HPU exam, Click Here. Yes, Admit card has been released on 28th May 2018. You can see the procedure to download the Admit Card from the link here.